Hey all! 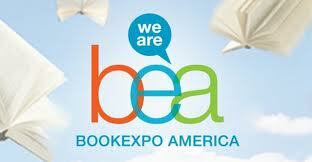 I am here in New York City at Book Expo America. I’ll be tweeting my photos on instagram and twitter @fireicephotos if you want to follow along. Night one for me was the Harper Collins Blogger preview where I met up with so many of your favorite bloggers and authors. Today was the first day at the exhibit hall and tonight is the City of Bones/ Cassie Clare Simon and Schuster party. Photos coming soon here… so stay tuned.